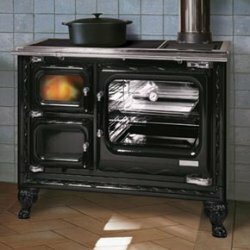 The Ebricks.com Solid-Fuel Stoves guide offers information about companies such as Thelin Co. and Woodstock Soapstone Company. 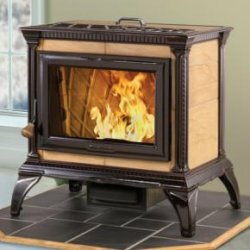 This Canadian company makes Glow Boy and Pelpro wood pellet stoves, plus shop heaters and backyard grills that use wood pellets for fuel. It's a full-line company ... also making and selling wood pellets themselves. This Canadian company claims that its pellet stoves are the world's most efficient. The company makes two sizes of stoves, plus a fireplace insert, each with many trim options. Soapstone panels and enamel detailing put a pretty face on an efficient pellet stove. Wood cookstove features modern conveniences.